DesiHits is not your typical music portal. Where else can you find Usher and P Diddy as well as Jay Sean, Rishi Rich, classic Bollywood tunes, Bhangra, and music from unknown but up-and-coming Artists all in one place? With famous and global bands creating content exclusively for DesiHits, you will find unique, bicultural and fusion South Asian music not available anywhere else. The first to offer a South Asian iTunes store, you can download and purchase music or listen to it 24/7 via their live Radio stream. Cofounded by entrepreneur Anjula Acharia Bath, and funded by top-tier VC firm Draper Fisher Jurvetson, DesiHits has grown to be a recognized brand name that attracts millions of loyal visitors. 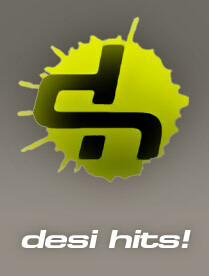 Visit www.DesiHits.com to learn more and enter a world of eclectic South Asian music that you never knew existed!